Exceptional Dunbar FAMILY residence w/ROOFTOP VIEW TERRACE! This luxury residence is located in the confines of Vancouver's ultra-exclusive Westside and most sought after Dunbar neighbourhood and sits within the top school catchments, Lord Kitchener Elementary and Lord Byng Secondary. 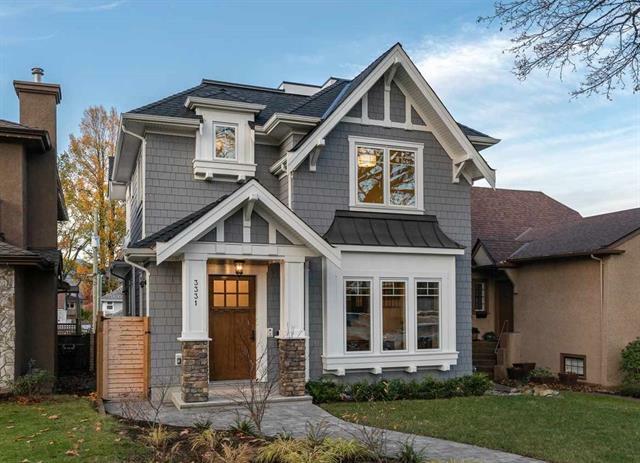 Expertly designed by one of Vancouver's top quality builders, this classic craftsman inspired home offers approximately 3,500 sqft of formal and informal living space. Features include: A gourmet chef's kitchen including Miele Appliances w/adjoining WOK KITCHEN. Impressive Millwork throughtout, Marble Countertops, Engineered Hardwood Floors, 3-Zone Integrated Radiant Heat w/Nest Control, A/C, Wet Bar, HRV, Heated Garage, and Cinema Room. A MUST SEE!